The Moto G (3rd gen) packs a Qualcomm Snapdragon 410 chipset with 1.4GHz quad-core Cortex-A53 processor, Adreno 306 GPU and 2GB of RAM. A version with one gig of RAM is also available, though we highly suggest that you spend an extra $40 and get the top-end Moto G.
Naturally, we kick off our performance routine with the GeekBench 3 test, which gauges the multi-core CPU performance. The does quite well here, especially when compared to similarly priced offerings.. The compound AnTuTu 5 test puts the Moto G (3rd gen) in line with similarly equipped competitors. The device's chipset does better than its predecessor's, but doesn't quite match the performance of some of its rivals. BaseMark OS II 2.0 is quite intensive benchmark, which puts to the test CPU, GPU, memory, system and browser performance. The Moto G posted an average score on this instance. The single and multi-core CPU breakdowns from the BaseMark OS II 2.0 once again put the faster Xperia E4g on top, but the Moto E is quite comfortable at the runner-up spot. Motorola Moto G (3rd gen) comes with Adreno 306 GPU in charge of graphics. Our previous tests indicates it's as good as the previous Adreno 305 unit, meaning that it is not that great. The 1080p offscreen performance on the other hand is quite disappointing, but that's to be expected. The onscreen performance naturally gets better as the resolution drops to 1280 x 720 pixels. While the Moto G won't break any performance records, it is OK for the class and will do the job for gaming and watching movies. Finally, the web browsing experience, courtesy of Chrome, turned out quite good. The Moto G is snappy web browsing platform, offering smooth and hassle-free experience. Even though it is anything but a benchmark-crushing monster, the new Moto G delivers fluid system experience, great web browsing and solid gaming experience. 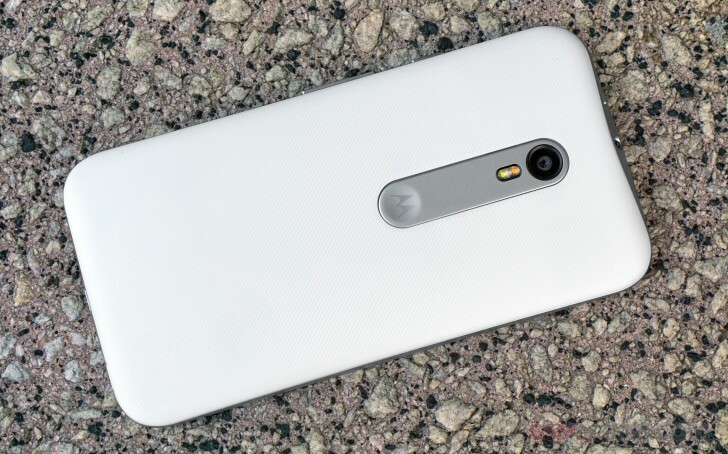 Overall, the Moto G (3rd gen) offers a lot more than we hoped for in terms of hardware oomph.